Making authentic-tasting chicken wonton soup is easy! Learn how to make a silky and flavorful wonton filling with minimal prep, and a five-ingredient soup, so you can create restaurant-style dim sum at home. 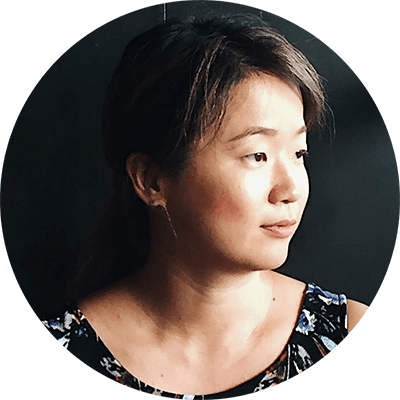 As much as I love spending time with my family during the holidays, and as much as I enjoy American comfort food, I do crave a bowl of hot wonton soup afterward. Authentic dim sum at home might sound quite fancy, but the cooking is actually easier than you’d imagine. 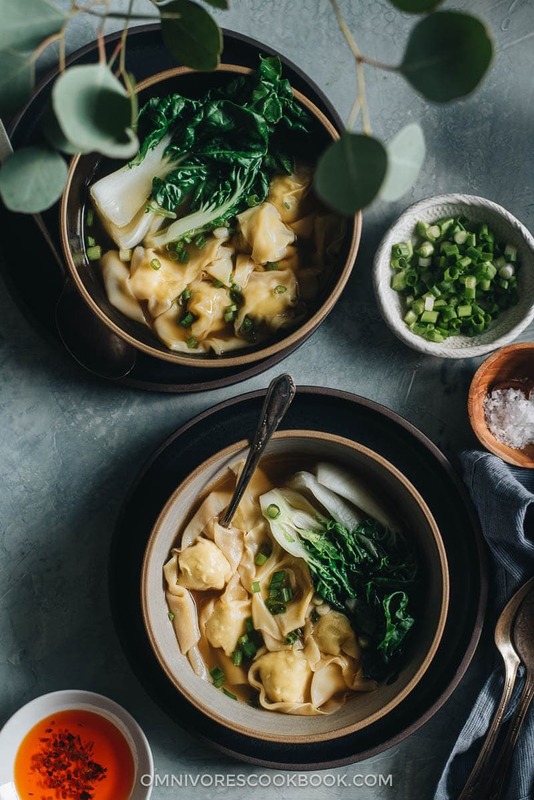 Today I want to share a recipe for an easy chicken wonton soup, which is the perfect winter warmer. 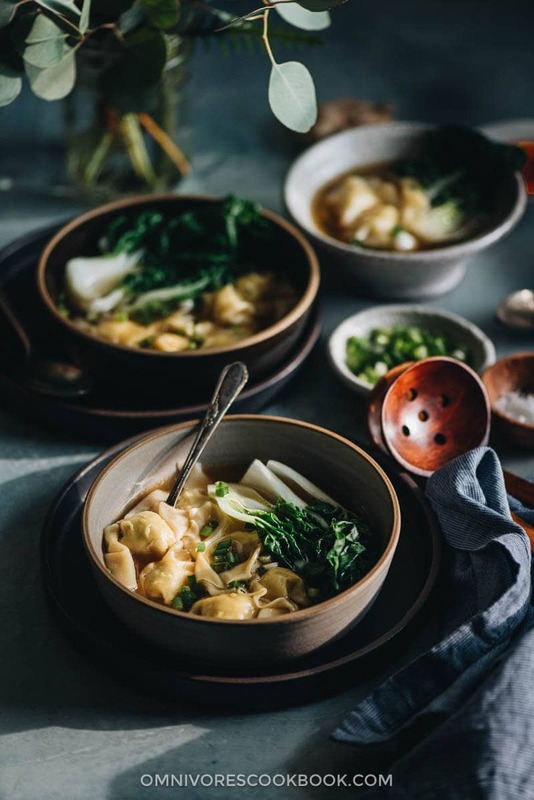 No matter whether you’re craving dumplings, feeling under the weather, or simply need a lighter meal, this wonton soup is a great choice. You might be wondering: How can you say this is simple, even though the recipe says the dish takes an hour to prepare? (1) Super fast and easy wonton filling. Traditionally, to achieve a smooth wonton texture, you need to mince a lot of aromatics to make the filling. Or you need to prepare an aromatic water 30 minutes prior to cooking. In this recipe I used my Vitamix to blend the filling. It literally takes 3 minutes to make and the result was even better than with a hand-mixed filling. The aromatics will be perfectly ground. 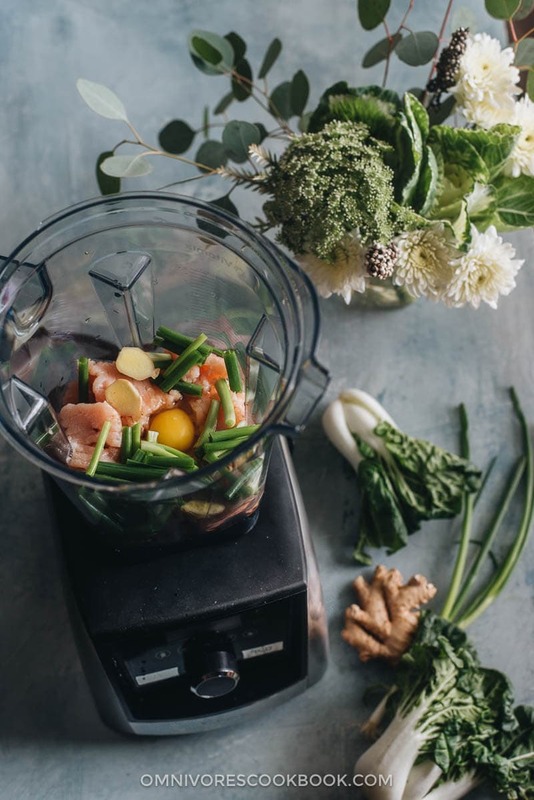 And the blender will work all the liquid ingredients into the chicken, making a flavorful and springy paste. Not only does it make folding the wontons easier, but it also yields an extra smooth and silky mouthfeel. 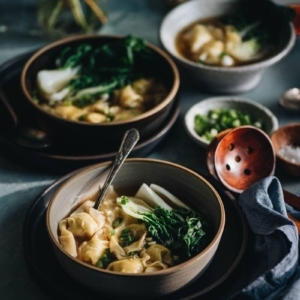 (2) Extra flavorful wonton soup from 5 ingredients. 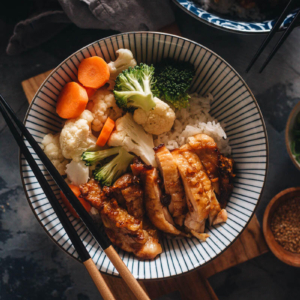 Did you know that a few drops of soy sauce, with some pieces of ginger and green onion, will make your chicken soup taste five times better? 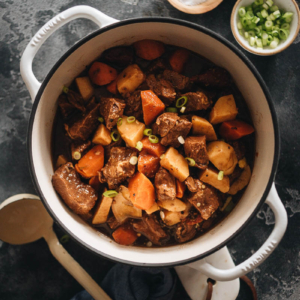 Give the recipe a try and be surprised. I always make the broth just before I serve the wontons because it takes the same amount of time to boil a pot of water and cook the wontons. But you can make the broth in advance. The soup will stay good in the fridge for a couple days and freezes well, too. (3) Make things in advance and thank me later. Yes, it takes some effort and time to wrap all the wontons. So be sure to pick a time when you’re not in a hurry to wrap them. For example, on a weekend when watching your favorite TV show. 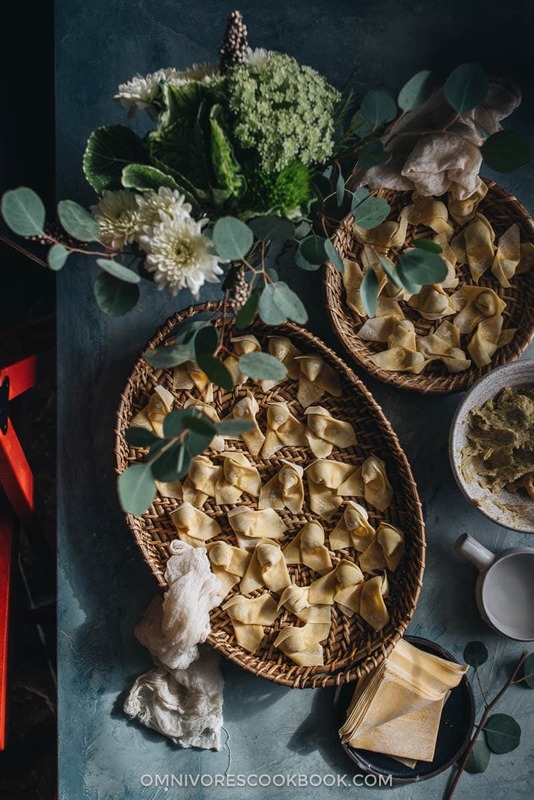 You’ll finish wrapping the whole batch of wontons after one or two episodes. Once you finish the wrapping, you can cook them the same day or freeze them for later use. Just imagine, once you have the pre-made soup and wontons, you just need a few minutes to boil the soup and cook the wontons. Then you’ll have fresh, hot restaurant-style wonton soup on your dinner table on a weekday evening! (4) How do you make the wonton soup more substantial? Boil some noodles and add them into your soup. Poach an egg in the pot of soup. Add other veggies to your soup, such as broccoli and mushrooms. (5) What if I have leftover filling? The number of wontons you can make from 1 pound of chicken varies a lot. Depending on how much filling you stuff into each wonton, the number of wontons can easily double. If you end up with leftover filling, you can use it to make chicken meatballs. Simply use two spoons to scoop out about 2 teaspoons of wonton filling and drop it into the boiling soup, then cook for 2 minutes. You will get some extra protein in your bowl. Learn how to make a flavorful wonton filling with minimal prep, and a five-ingredient soup, so you can create restaurant-style dim sum at home. Add all the filling ingredients with 2 tablespoons water into a high-powered blender or a food processor (I used my Vitamix). Blend and gradually turn up to high until it forms a smooth and sticky paste, about 30 seconds. Transfer into a big bowl. Prepare a large tray or a plate, and a small bowl of water. Work on the wontons one at a time. Place about half a teaspoon of filling (or 1 teaspoon of filling for bigger wontons) on the lower third of the wrapper. Fold the bottom side over the filling, then roll the filling all the way across to the other side of the wrapper. Brush a thin layer of water on one end of the wonton wrapper using your finger. Bind both ends and press together to lock the filling inside the wrapper. Place on a big plate, a finger’s width apart. 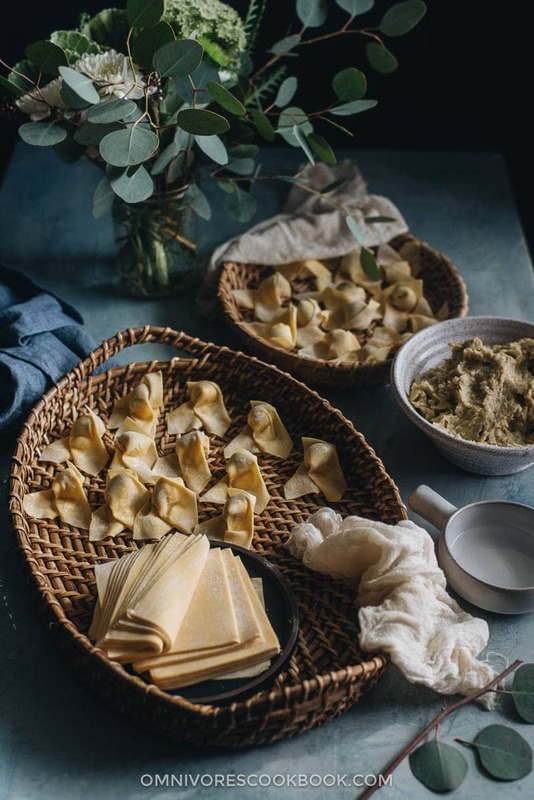 When you finish 10 to 15 wontons, cover them with a damp, clean cheesecloth or a few layers of damp paper towel to prevent them from drying out. If you are not going to cook and serve the wontons immediately, you can keep them covered at room temperature for 2 to 3 hours. Or you can freeze them for up to a month by sealing the tray of wontons with plastic wrap. When the wontons are completely frozen, you can transfer them to an airtight ziplock bag to free up freezer space. Add chicken stock, light soy sauce, and ginger into a medium-sized pot. Bring to a boil. Let boil for 10 minutes. Add the baby bok choy and cook until cooked through, 1 to 2 minutes. If you use spinach, it only takes a few seconds to cook. Stop the heat. Stir in the green onions and sesame oil. Mix well. Add the soup and veggies into each serving bowl. Start to cook the wontons right before serving. Bring another large pot of water to a boil. Add wontons, about 20 at a time. Stir gently and constantly with a spatula to prevent them from sticking to the bottom. Cook until the wontons are floating on top. Then cook for another 30 seconds to 1 minute, until the wonton wrappers look transparent and the filling is cooked through. Transfer a few wontons into each serving bowl with the chicken soup. 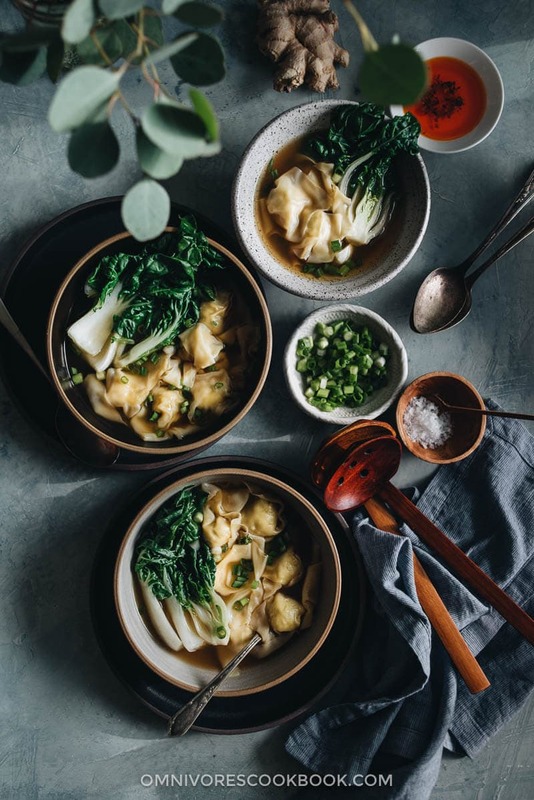 This wonton soup sounds and looks absolutely delicious! I love how easy you made this look to make, I haven´t had this soup in years, but after reading your post I have to give this soup a Go! Hello! It seems I can’t get wonton wrappers in my city. Is there a way to make them from scratch? Thank you for your attention. Hi Naty, yes you can definitely make wonton wrappers at home. I don’t have the recipe on my blog now but I’ll add it to my to-do list. Oh! That’s great! I’ll be looking forward to it. 🙂 Thank you for taking your time to reply, and for posting this wonderful recipies. I do love Chinese food! I don’t have a blender. Do you think it would workout out okay if I just chop up the filling finely? 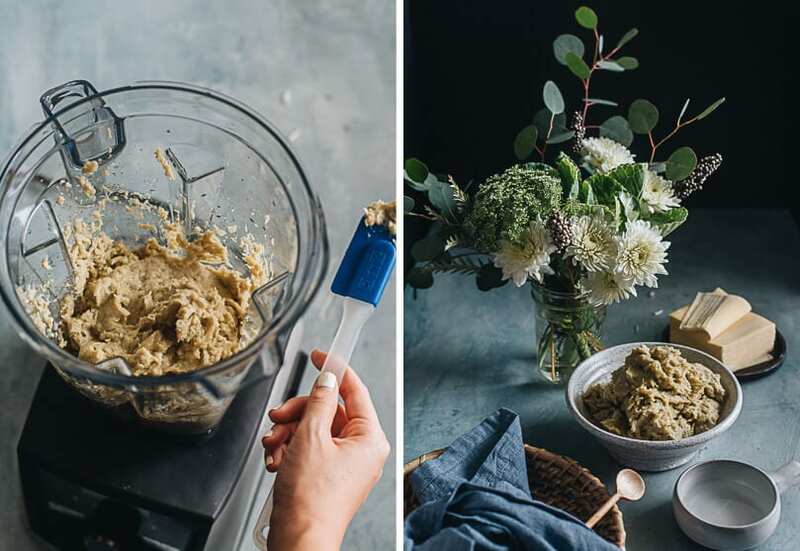 Hi Alexis, yes you can totally make this dish without a blender. 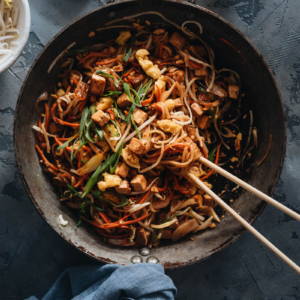 Just make sure to chop up the green onions and ginger finely before mixing them, you’ll be all set! This is amazing! I can’t wait to try it. A question about the frozen won tons-how would you cook them? Do you let them defrost first, or just put them straight from the freezer into the boiling water and cook until they float/+the extra minute? For the wonton filling, can we add shiitake mushrooms into it or would that affect the overall taste of the wonton/soup itself? For the wonton filling, is it okay to add mushrooms (such as shiitake mushrooms) into the filling? Would it affect the overall taste of the wonton/soup?